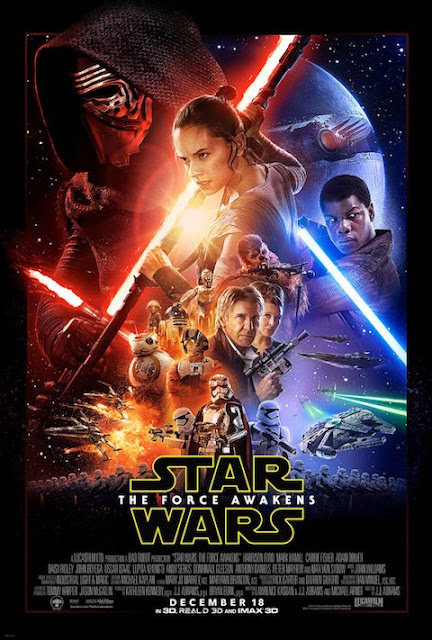 Anti-Pitchfork: New 'Star Wars: The Force Awakens' trailer! New 'Star Wars: The Force Awakens' trailer! We're less than two months away from Star Wars: The Force Awakens (December 18) and a new trailer was just released, giving us our first real a glimpse of what writer-director JJ Abrams has in store. There's also Han Solo, Chewbacca, Leia, R2D2, what seems to be Darth Vader's son (?). For those who are planning their life around the release of this, advance tickets are on sale now. Labels: New 'Star Wars: The Force Awakens' trailer!